Reaching Kalymnos is easier than it may seem. The options for visitors wishing to fly to Greece are either flying to Kalymnos via Athens, or flying to the nearby island of Kos, and there moving to the nearby port of Mastihary (hardly ten minutes by bus from the airport of Kos), where boat lines to Kalymnos are active (the frequency of trips is approximately twenty minutes and the duration is also 20 minutes). If you wish to fly to Kalymnos via Athens, Olympic Airlines operates two flights to Kalymnos on a daily basis from the airport of the capital. However, if you wish to choose that option, we suggest that you book tickets as soon as possible since tickets to Kalymnos in the summer season, run out very quickly. Reaching Kalymnos via Kos is the most popular option among visitors both for its ease and convenience since the island of Kos is an extremely popular destination for many major low cost and charter flight companies. Germany Germany is most likely the one central European country with the best direct flight connections to Kos. 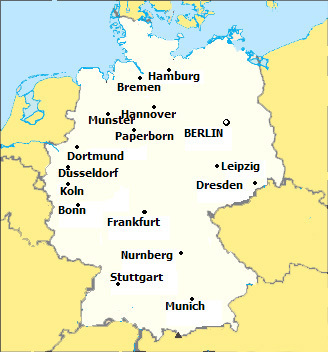 Companies such as Air Berlin, Tuifly.com, FlyNiki.com, and LTU, operate direct flights to Kos from the airports of Berlin, Cologne, Dresden, Munich, Frankfurt, Paperborn, Leipzig, Stuttgart, Dusseldorf, Dortmund, Hamburg, Bremen, Hannover, Nuremberg, Munster, and Bonn. Coming from Germany you only have the difficulty of choice! Great Britain Great Britain is also extremely well connected to Kos. 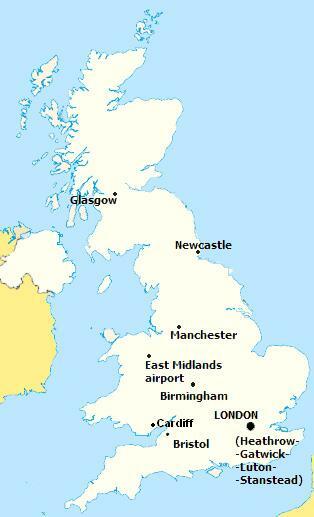 Air companies such as XL.com, FlyThomasCook.co.uk, Thomsonfly.com, operate flights to Kos from the airports of London, Bristol, Cardiff, Manchester, Birmingham, the East Midlands airport, Newcastle, and Glasgow. Also check Cheapflights.co.uk for great offers on ticket fares. Austria, Switzerland. Austria and Switzerland are also very well connected to Kos, thanks to flights operated by Air Berlin, LTU, Tuifly.com and FlyNiki.com, departing from Vienna, Linz, Saltzburg, Zurich, and Basel. Belgium, Netherlands, Luxemburg For visitors coming from the area of Belgium, The Netherlands or Luxemburg, connections to Kos this year are broadly available more than ever. Luxair operates direct flights from Luxemburg, while Corendon and ThomasCookAirlines (NOT FlyThomasCook.co.uk) also operate flights, from Maastricht (ThomasCookAirlines), Brussels, Liege, Ostend and Brugges (Jetairfly.com and ThomasCookAirlines ). Scandinavia Visitors from Scandinavia can take advantage of the direct connection to Kos Norwegian.no operates since years, departing from Oslo (Gardemoen). Kalymnos can also be reached by sea through a large number of maritime lines, departing from the port of Piraeus.